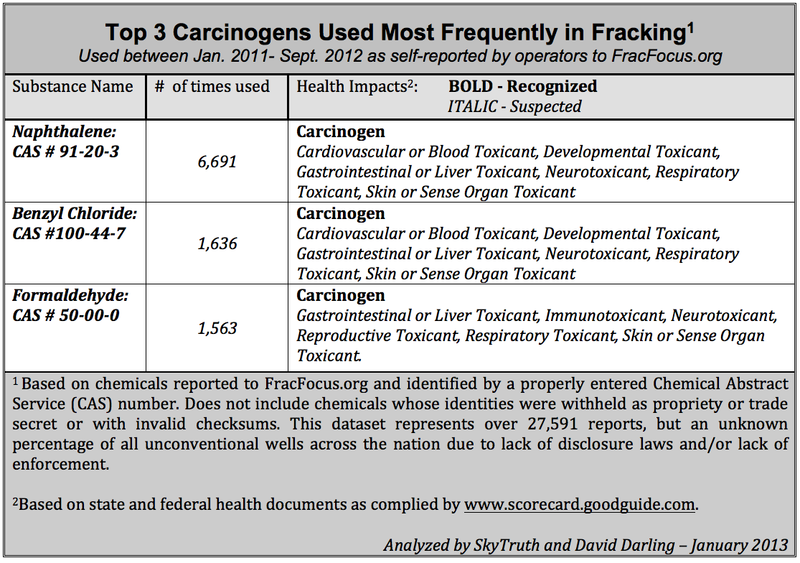 Recognized carcinogens are used in 1 in 3 hydraulic fracturing operations across the nation – according to industry self-reporting. 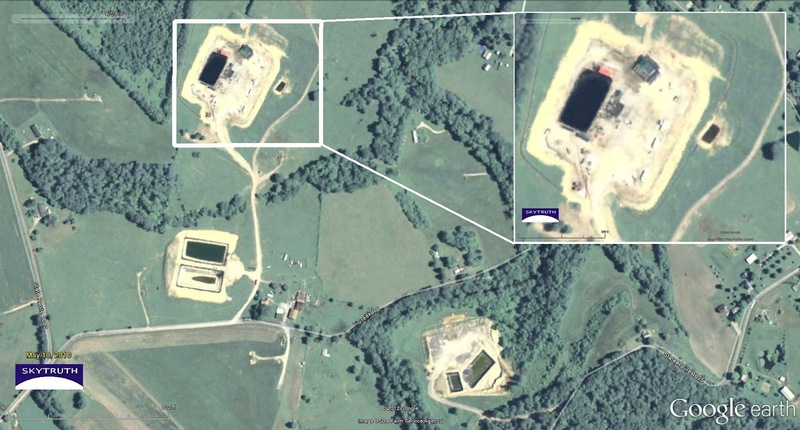 Independent analysis of the SkyTruth Fracking Chemical Database by IT professional David Darling found that 9,310 individual fracking operations conducted between January 2011 and September 2012 disclosed the use of at least one known carcinogen. 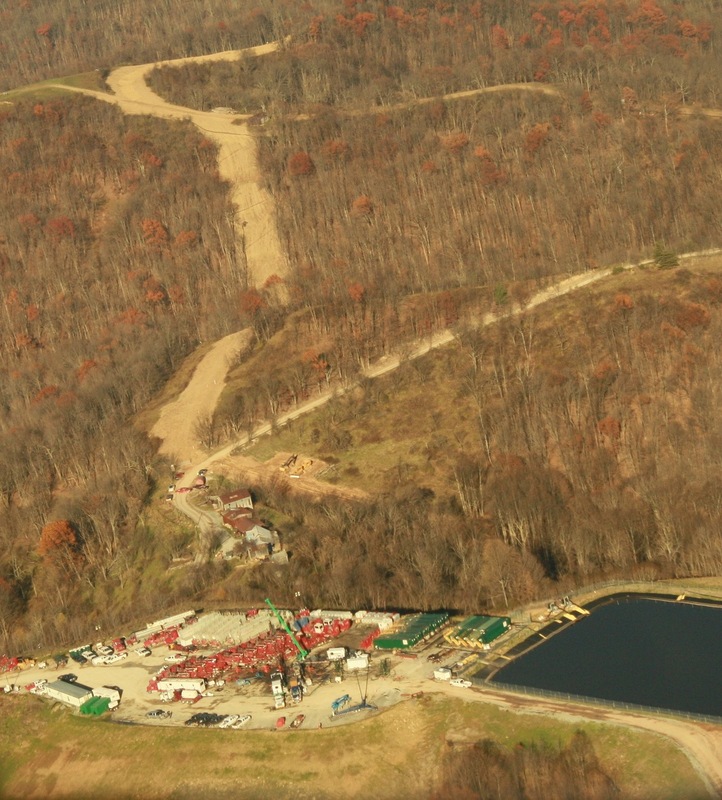 While not all hydraulic fracturing operations or all chemicals used in the process are disclosed by the drilling industry, thanks to the lack of a uniform national disclosure law and exacerbated by the liberal use of “trade secret” exemptions, known cancer-causing substances such as naphthalene, benzyl chloride, and formaldehyde were used in 34% of all fracks reported by industry to FracFocus.org. 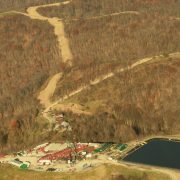 Hydraulic fracturing operation near private homes in Wetzel County, West Virginia, November 2012 (photo by SkyTruth; aerial overflight provided by LightHawk). Since creating a Fracking Chemical Database, which we released to the public back in November, SkyTruth has worked to quantify some of the issues related to fracking, but our main objective in building and publishing the database was to enable research on the subject by anyone interested. This approach has been fruitful in several ways, such as our work with David Darling, an IT professional specializing in database and software programming, who enjoys working with complicated datasets for his own professional development. Darling has built powerful structured query language (SQL) tools to analyze our database and join it to others, which he writes about in very technical detail on his website. For those of us not familiar with database management and SQL language, we provide a layman’s guide to his findings here. Most recently, we asked him to compare the data from Goodguide.com‘s chemical profile Scorecard, originally a project of the Environmental Defense Fund to profile the respective hazards of over 11,200 industrial chemicals. For recognized carcinogens, Scorecard provides a database compiled from California’s Proposition 65 (P-65), source of the familiar phrase “known to the State of California to cause cancer.” Under P-65, California manages a list of carcinogenic substances identified by health authorities such as the International Agency for Reaserch on Cancer and the Environmental Protection Agency’s (EPA) Toxic Release Inventory (TRI). Spills of raw ingredients or wastewater: Drilling chemicals are transported by truck to the worksite along public roads and often over private land; workers must handle these chemicals to mix and pump them into the ground; and in the end some chemicals return to the surface in wastewater that must be either disposed of or treated for reuse. Anywhere along this chain of events human error or unavoidable accidents can and do occur, releasing chemicals into the environment and exposing workers and/or the general public to toxic substances. Our SkyTruth Alerts system tracks oil and hazardous materials spills reported to the National Response Center, as well as state-issued environmental and safety violation reports in West Virginia and Pennsylvania. Air pollution: Unconventional shale oil and gas development has substantially impacted air quality around active fields such as the Jonah and Pinedale Anticline fields in the Upper Green River Basin of Wyoming, where on some winter days ozone levels are worse than in Los Angeles. From aerosolizing these chemicals through the high-pressure process of fracking, to flaring off gases from the well (which may also burn a number of these chemicals), to evaporating the chemicals from open pits of drilling fluids, water is not the only vital resource impacted by fracking. Groundwater contamination: Images of flaming sink faucets from contaminated wells have ignited a global movement against fracking. If a well casing fails, a cementing job is inadequate, or fractures reach the water table, then groundwater can become not only toxic, but potentially explosive. The risk of exposure to these chemicals should be thoroughly studied by pubic and occupational health experts, and their findings accounted for in regulatory and policy decisions about drilling and fracking. Full and open disclosure of the chemicals used at all stages of drilling and completion activity — including during hydraulic fracturing operations — is a necessary element of protecting public health. We recently provided specific recommendations for improved disclosure to the Bureau of Land Management (which just announced they will go back to the drawing board and publish an entirely new proposed rule for fracking on public lands at the end of March after criticism of the 2012 draft from both industry and environmentalists). After searching for data from many sources, and hitting what he described as “the fracking wall” around data on oil and gas development, Darling concluded that “FracFocus.org’s website at that time was intentionally constructed to make information extraction difficult.” However, with open access to the information, researchers, citizen scientists, and skilled professionals can begin to unravel some of the mysteries that surround the boom in unconventional oil and gas development. Coal Exports: Are You Safe? Moderate Earthquake in Colorado Yesterday – Related to Fracking?